The LG Artcool Mirror Air Conditioner - AC12BQ.NSJ (3.5Kw) model offers a wall mounted unit with a stylish look that compliments the decor of any house. Advanced features include the neo plasma air purification system, to keep the air quality of the room at optimum level this coupled with built in wi-fi on the indoor unit. 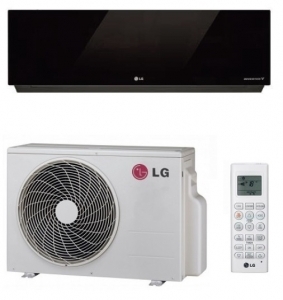 Another feature that other manufacturers do not have is the gold fin anti-corrosion coating, on the condenser coils of the outdoor unit, to give maximum corrosion protection which is exclusive to LG. This model also uses the latest R32 refrigerant to give improved energy efficiency.